Recruitment can be a tough gig, especially for companies big enough to need recruiting to be an ongoing process. 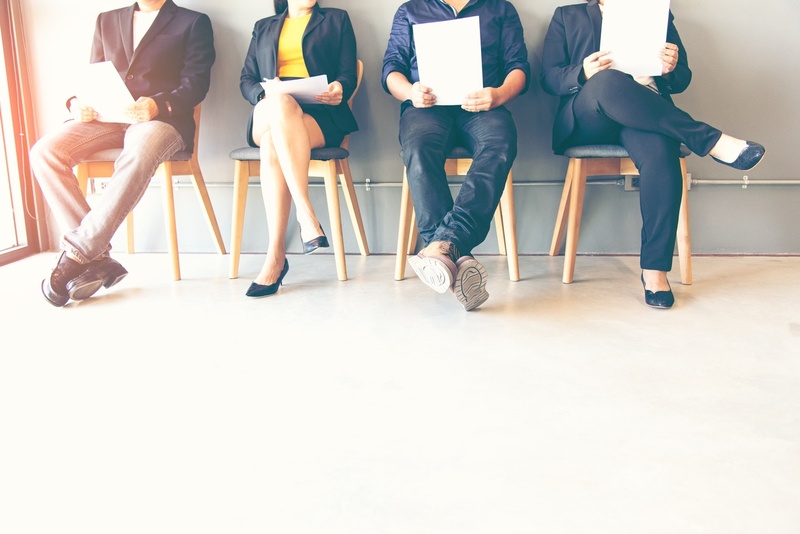 A tough economy can make it difficult to keep the pipeline of potential hires full, and recruitment advertising could be the key to reaching out to talent that hasn’t realized that your company is an option yet. More specifically, radio advertising is the perfect medium to build your team, like a “secret sauce” that takes the ingredients for finding a great hire to the next level. We recognize that finding quality candidates is a challenge for most businesses; in fact a recent survey from Glassdoor shows that attracting these candidates is the single biggest challenge for 76% of recruiters. Knowing the right place to run recruitment advertising was another top challenge. It can be difficult for businesses to target potential hires consistently while maintaining high levels of reach. Even once they’ve reached the right audience, developing the best means to attract them isn’t easy either, despite the fact that (per the survey) most recruiters know what recruits are looking for: competitive pay and benefits, optimal company culture, company values and reputation, great people to work with, and a great candidate experience. It’s no surprise that many times recruiters don’t even feel confident in understanding whether or not the advertising is paying off. When it comes to reaching candidates to build your team, radio and recruitment are a perfect pair. We’ve put together the top four reasons here. 1. Radio Provides Targeted Reach. Despite the fact that it’s a mass reach medium, radio can be highly targeted when you fully understand your audience. Choosing the right time of day, the right station, and the right personalities to pair with your ad can ensure potential hires hear your message. As we’ve discussed before, radio actually reaches nearly 89% of adults who are “very likely” to change jobs in the next 12 months (GfK MRI, 2015). Furthermore, radio has the potential to reach potential hires that aren’t currently actively thinking about getting or changing jobs at the time they hear the ad. A radio ad puts your company top of mind, and may even provide the reason they begin to reconsider where they see their career heading. 2. Radio Offers Opportunities for Creative that Attracts and Captures Targets’ Attention. Radio is quite unique in the way it engages the theater of the mind, and it can be deployed to tell the type of stories that can paint an image of experience in the listener’s mind. Whether you tell your brand story and share why your company would be great to work for, or illustrate why working with a bad company is unnecessary and that it’s important to get out, it can be strategically tailored to what will best appeal to your target audience. It also avoids some of the pitfalls of digital and print recruitment ads that lean on impersonal facts and statistics. Radio is well known for inspiring listeners to take action and support other elements of an advertising campaign. This is because it engages the mind, and many times is close to the point of making a decision. Unlike most other advertisers, recruiters have a uniquely singular goal — to inspire the target audience to submit their resume to the company, converting them into a candidate. Yet radio provides the same compelling opportunity to engage. Tracking radio results is increasingly more detailed, as is clearly demonstrated in this retail report from Nielsen. The analytics necessary to track your results can be remarkably straightforward, starting with tracking the increased number of resumes you receive. If you establish landing pages for each of your recruitment advertising campaigns, which provide another opportunity to engage and convert, you can also measure the traffic on those pages and understand how effective your radio campaign was to drive them there. Radio and recruitment fit together in a powerful way that has the potential to build your team quickly, easily, and with top-tier talent. Radio advertising provides the means to solve many of the struggles related to recruitment advertising, including targeted reach, capturing audience attention and encouraging action, all with trackable results. Don’t miss out on potential candidates by failing to leverage the opportunity provided by this marketing channel to your benefit.